The communities secretary has launched the Government’s £2.3bn Housing Infrastructure Fund, aimed at unlocking up to 100,000 new homes in areas of high demand. Sajid Javid said the cash will help fund vital physical infrastructure projects such as roads, bridges, energy networks and other utilities, whose absence continues to hold back housebuilding. 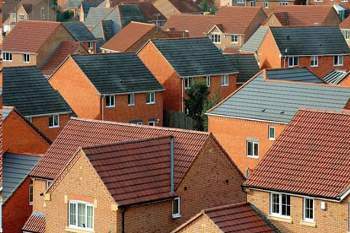 Communities department DCLG is inviting local authorities across England to come forward with proposals ‘to help build homes faster’. Up to £2.3bn capital grant funding will be allocated to local authorities on a competitive basis and will be available from 2017/18 to 2020/21. Mr Javid said: ‘To build the homes this country needs, we need to deliver the right infrastructure in the right place at the right time. ‘By investing in local infrastructure, we can help unlock building thousands of new homes in the areas where they are needed most. The cash comes from the Housing Infrastructure Fund (HIF), part of the National Productivity Investment Fund (NPIF) announced in last year’s Autumn statement, when it was said it would be aimed at ‘areas where housing need is greatest’. The DCLG said that once proposals have been approved, it expects local authorities to begin building the necessary infrastructure immediately ‘and for the homes to follow quickly afterwards’. In the HIF prospectus the DCLG said different types of intervention are needed. The fund provides Marginal Viability Funding of up to £10m per bid to provide the ‘final, or missing, piece of infrastructure funding’ and up to £250m per bid for Forward Funding to give the market confidence to provide further investment. Mr Javid also confirmed that ministers will this month launch a consultation on a new way for councils to assess their local housing requirements, as promised in the Housing White Paper.